While programs running in Windows 8,8.1 and Win 10, it is easy to open the program path via Win-8/10 Task Manager! 1.) ... Find the Program Path when program is open! 2.) ... Find the Program if not running on Windows! 1.) Find the Program Path when program is open! Please press the key combination [CTRL+ Shift + Esc] to open the Windows 8 Task Manager! See also: ► Create a Windows 8, or 8.1 desktop shortcut for fast shutdown, log off, restart! Open in Windows 8 / 10 the program path through the task manager for running programs! 2.) Find the program is not running on Windows! To open this folder please run the MS Explorer, via keyboard shortcut [Windows + E] and in the address bar of the File-Explorer [ALT+D] or [F4] enter the address: shell:programfiles and you can see all installed programs in Windows default Programs Folder. See also: ►► Where is the real Desktop folder path in Windows 8.1/8/ 10? (Image-2) open in Windows 8.1/10 the program path! Windows-8 - FAQ-97: How to open in Windows 8.1/10 the program path through the task manager? Open task manager file path? Windows 8 open drive at path? Task Manager Win 8 Start takes a long time? Task Manager as admin or administrator start Windows 7? Windows 8 Task Manager open? How to enter windows 8 safe mode through the task manager? What I can delete in Task Manager Windows 8? Windows 8 Task Manager open location? How can I open at 8 Windows Task Manager? Key combination to run programs under win 8? 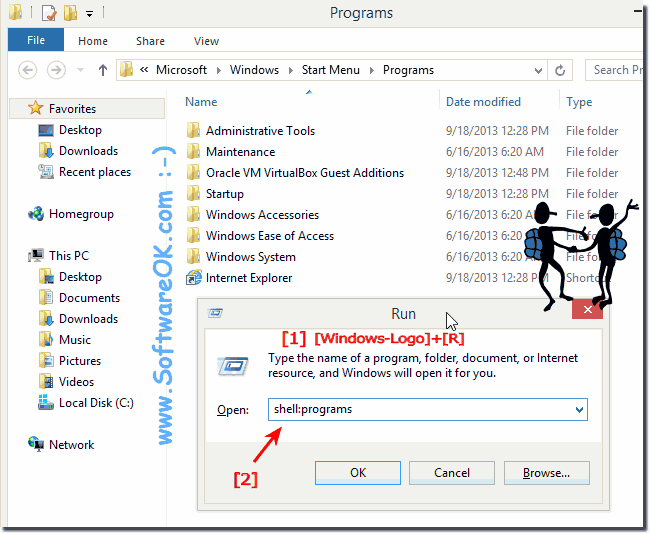 How to find the path of a program in windows 10? Where is program manager in windows 8.1? Windows 8.1 Task Manager application path? Windows task manager file path? Account Windows 8 takes a long time to open? Win 8.1 program path and how to enter the path to synsopos.exe when running windows 8? Running program to uninstall Windows 8? Open unc path windows 8? Open folder via Task Manager Windows 8? Open Task Manager folder and open Task Manager on a virtual partition? Open Windows 8 Task Manager or windows 8 taskmanager registry path? Win Show 8 Task Manager file name? Windows 8 safe mode via task manager? Program path of programs open in Windows 8? Windows 8 open Task Manager? How to enable task manager in windows 8 64 bit when task manager is disabled using cmd? How to open windows through the task manager? How to open windows update through task manager? How to enter the path to synsopos.exe when running windows 8.1? Open Task Manager in Windows 8?